Last week we noted that Nubia, a brand of the almost ill fated ZTE had shown a smartwatch/smartphone demo that the company expects to have out before the end of the year. 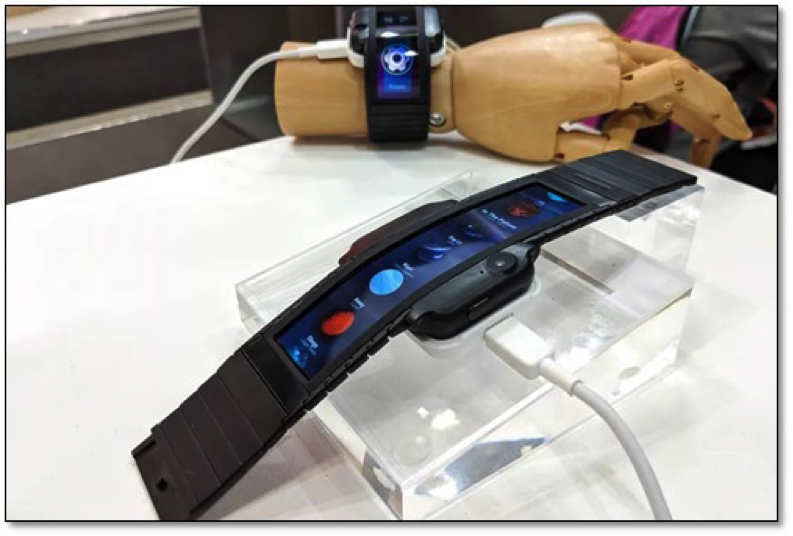 The device, known as the Nubia Alpha, has an unusually shaped flexible OLED display that wraps around the users wrist and acts as a flexible smartphone/flexible smartwatch, or something in between. While the demo gave little information as to the specs or how the device operated, Nubia insists it will be out in China before the end of the year. With Samsung Electronics, Huawei and others vying for the bragging rights of having the first flexible/bendable/foldable smartphone, we noted that the Nubia Alpha was a dark horse. We had speculated that the flexible OLED display used in the Nubia Alpha was being produced by BOE, as the company had indicated that it had been developing flexible OLED displays for a number of smartphone brands, but it turns out that the display is being produced by Visionox,which announced that Nubia is using their flexible OLED panels in the phone/watch shown in the demo, and has had a relationship with Nubia/ZTE, supplying the OLED display for the 2017 ZTE Nubia M2, a far more generic OLED smartphone. While we expect the Nubia Alpha will be a niche device when released, it is still a shot across Samsung’s bow, even if it is a pistol and not a canon.